A graceful, low-mounding shrub introduced by the U.S. National Arboretum. It has fine textured green foliage on gently arching branches. 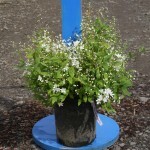 A profusion of panicles of small, pure white flowers appear above the foliage in spring. 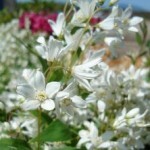 Prefers full sun and a well-drained moist soil. 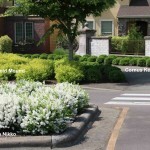 It benefits from afternoon shade in areas with high temperatures. 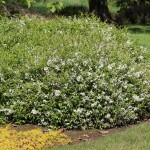 Great in mass planting, shrub borders, or as a groundcover.